We walked out with armfuls of trophies at this year’s Social Media Club of Kansas City’s AMPS Awards for our work with the Brookside CID. 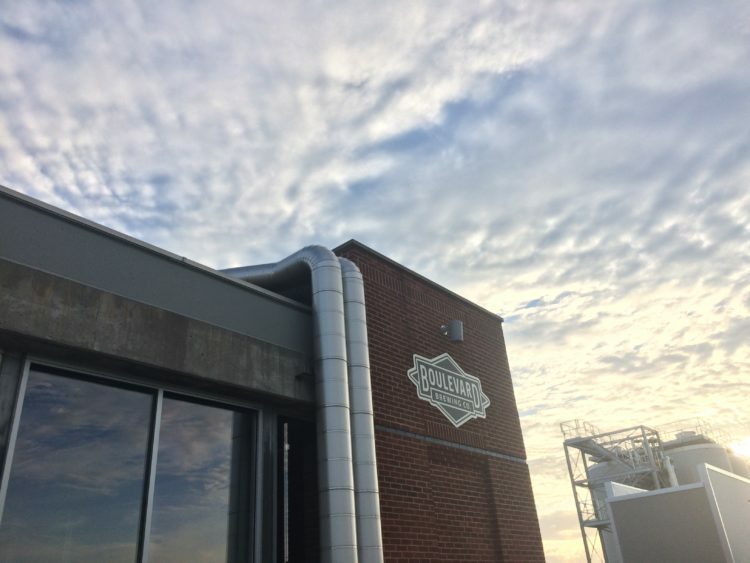 We grabbed some drinks at Boulevard Brewing Company, chatted with friends and peers, and enjoyed some delicious food from a favorite Italian dive in KC, Cupini’s. 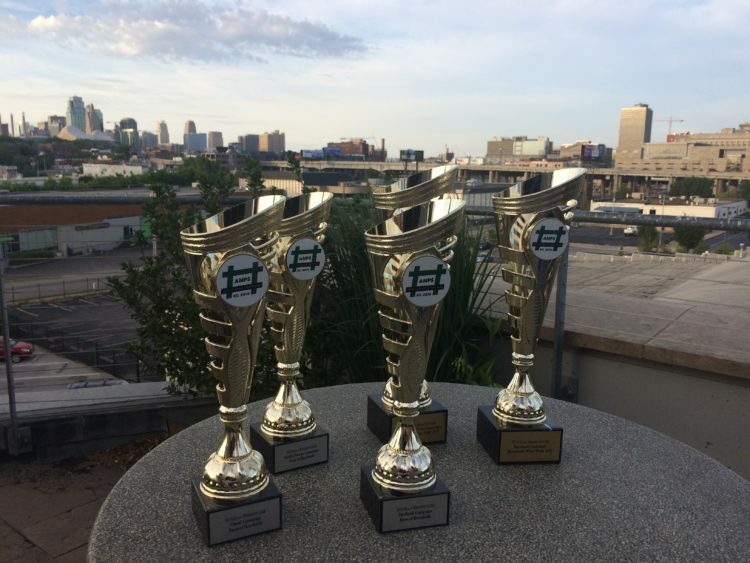 We also snapped some great views of our awards with the KC skyline. You can see our office from Boulevard! We’re so proud of the work we did this year and are honored to win awards for events and campaigns that we loved creating. Hard work pays off! 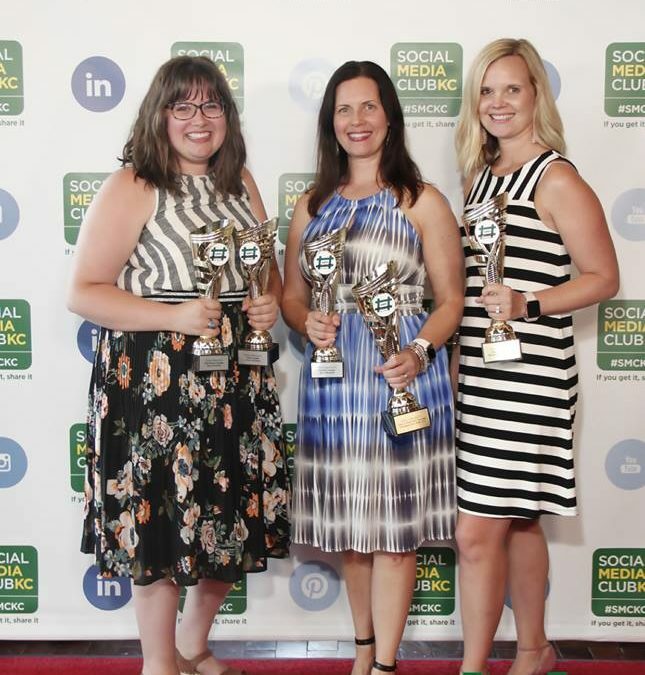 Our Faces of Brookside Campaign took home three silver awards for Visual Campaign, Multi-Channel Campaign, and Facebook Campaign in the Government Entity category. The results of the Faces of Brookside campaign took on a whole life of their own, showing a thriving, championing community of local support. Business owners feel encouraged when the responses online overflow with devotion to their store, and the outpouring of sharing and engagement allows new followers to see that their friends and family value shopping local. 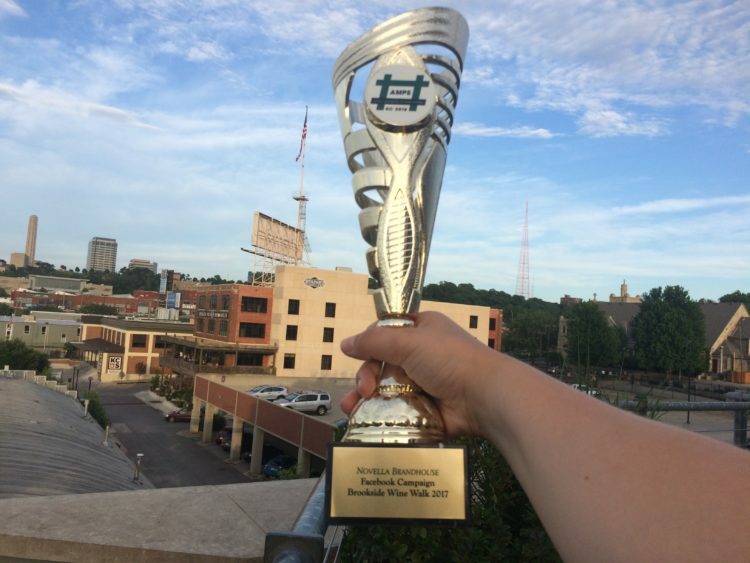 The Brookside Wine Walk campaign won two gold awards for a Real-Time Campaign and Facebook Campaign in the Government Entity category. 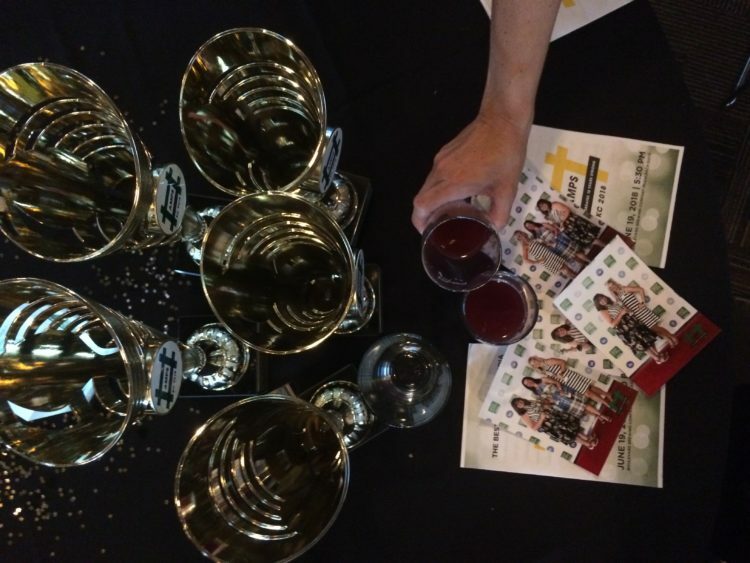 The event was such a success that Wine Walk participants asked if there could be commemorative swag next year. The Facebook event surrounding the Wine Walk reached 199,045 people and earned 6,380 responses. In the month of October, Facebook engagement increased by 16% compared to the previous month, reach increased by 30%, and page views increased by 50%. We earned 101 new page likes (a 114% increase).